View of Piazza Navona, Rome. In the foreground, the Fountain of Neptune. 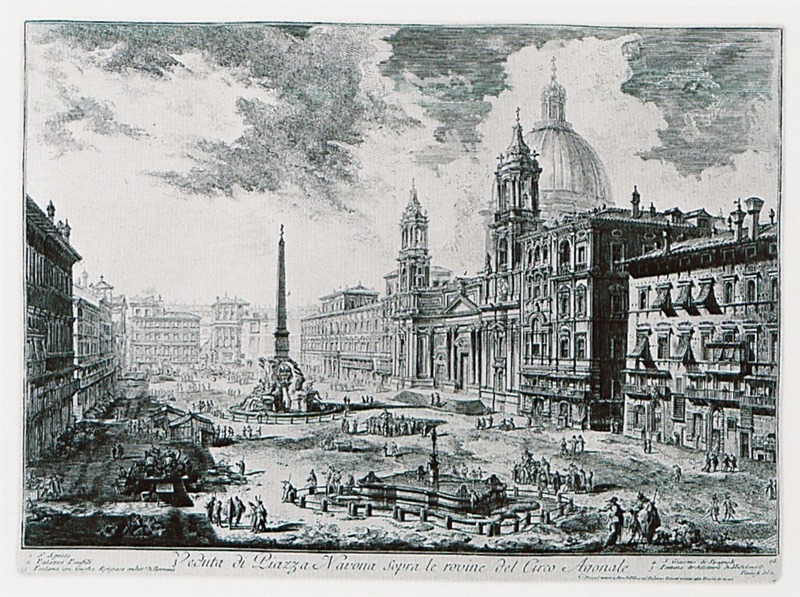 In the background, the Fontana dei Quattro Fiumi with the Obelisk of Domitian. View of Piazza Navona, Rome. In the foreground, the Fountain of Neptune. 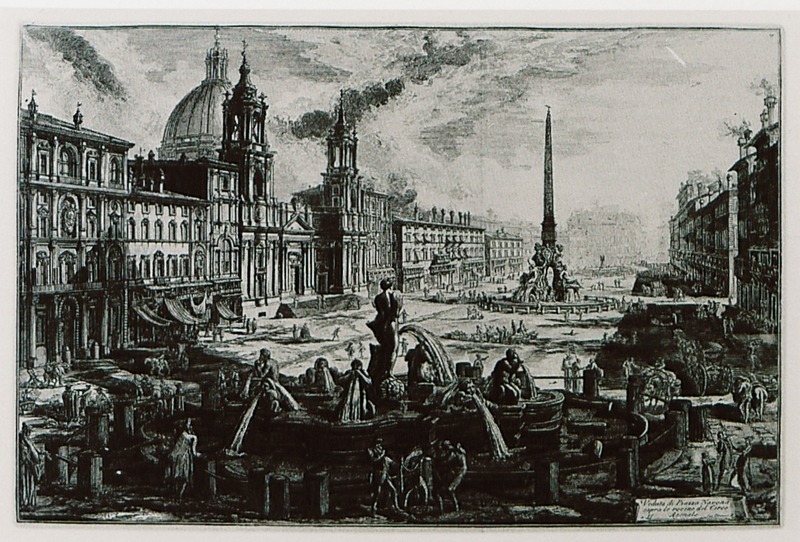 In the background, the Fontana dei Quatri Fiumi with the Egyptian obelisk known as Obelisk of Domitian.